Michele Sterling is Professor in the Recover Injury Research Centre, Program Lead of the Designing Better Therapies research program and Director of the NHMRC Centre of Research Excellence (CRE) in Road Traffic Injury Recovery. 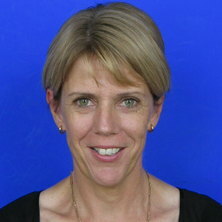 She is a Musculoskeletal Physiotherapist and a Fellow of the Australian College of Physiotherapists. She is internationally recognised for her research on whiplash-associated disorders. Michele’s research focusses on the mechanisms underlying the development of chronic pain after injury, predictive algorithms for outcomes and developing effective interventions for musculoskeletal injury and pain. She has received over $13M in research funding from the NHMRC, ARC and industry partners, including 7 NHMRC project grants, 2 CRE's - the most recent as CIA. She has editorial roles with several leading journals and textbooks, and is a widely published author. She has received numerous awards for her research including the University of Queensland Foundation Research Excellence Award in 2005. Michele is an elected member of the leadership Council of the International Association for the Study of Pain (IASP). AN INVESTIGATION OF PHYSIOTHERAPIST DELIVERED PSYCHOLOGICAL INTERVENTIONS FOR MUSCULOSKELETAL PAIN CONDITIONS- REASSURANCE FOR NECK PAIN AND WAD CONDITIONS. Jull, Gwendolen and Sterling, Michele Whiplash injury recovery: a self help guide 2nd ed. Brisbane, Australia: The University of Queensland, 2011. Sterling, Michele (2016). Neck pain. In Mechanisms and management of pain for the physical therapist 2nd ed. (pp. 351-362) Philadelphia, United States: Wolters Kluwer Health Adis (ESP). Sterling, M. and Curatolo, M. (2015). Whiplash injury pain. In Musculoskeletal pain: basic mechanisms and implications (pp. 1-1) Washington, DC, United States: Wolters Kluwer Health Adis (ESP). Sterling, Michele (2011). Clinical presentation of whiplash associated disorders. In Michele Sterling and Justin Kenardy (Ed. ), Whiplash: Evidence base for clinical practice (pp. 9-15) Chatswood, NSW, Australia: Elsevier Australia. Curatolo, Michele and Sterling, Michele (2011). Pain-processing mechanisms in whiplash associated disorders. In Michele Sterling and Justin Kenardy (Ed. ), Whiplash: Evidence base for clinical practice (pp. 40-51) Chatswood, NSW, Australia: Elsevier Australia. Sterling, Michele (2011). Prognostic indicators of non-recovery following whiplash injury. In Michele Sterling and Justin Kenardy (Ed. ), Whiplash: Evidence base for clinical practice (pp. 101-107) Chatswood, NSW, Australia: Elsevier Australia. Sterling, M.M. (2008). Factores fisicos y psicologicos implicados en el latigzo cervical. In Rafael Torres Cueco (Ed. ), La Columna Cervical: Sindromes Clinicos y su Tratamiento Manipulative 2nd ed. (pp. 373-388) Spain: La Columna Panamericana de Fisioterapia. Whiplash patients' responses on the impact of events scale-R - congruent with pain or PTSD symptoms? Measuring pain intensity in patients with neck pain: does it matter how you do it? Does knowledge of predictors of recovery and nonrecovery assist outcomes after whiplash? Potential processes involved in the initiation and maintenance of whiplash-associated disorders: discussion paper 3. Prognosis after whiplash injury: Where to from here? Discussion paper 4. Pressure algometry: What does it really tell us? Centeno, Christopher J., Elkins, Whitney, Freeman, Michael, Elliott, James, Sterling, Michele M. and Katz, Evan (2007) Total cervical translation as a function of Impact Vector as measured by Flexion-Extension Radiography. Pain Physician Journal, 10 5: 667-672. Sterling, M. (2007) Dr. Sterling replies. Journal of Rheumatology, 34 2: 450-451. Sterling, M M (2006) Identifying those at risk of developing persistent pain following a motor vehicle collision. Journal Of Rheumatology, 33(5) -: 838-839. Are cervical physical outcome measures influenced by the presence of symptomatology? Sterling, M (2001) Kinaesthetic exercise does not improve outcome (or kinaesthesia) in patients with acute whiplash - Commentary. Australian Journal of Physiotherapy, 47 1: 67-67. Uthaikhup, S., Sterling, M. and Jull, G. (2008). Psychological, cognitive, and quality of life features in elders with headache. In: JOURNAL OF AGING AND PHYSICAL ACTIVITY. 7th World Congress on Aging and Physical Activity, Tsukuba, Japan, (S93-S93). 26-29 July 2008. Sterling, Michele (2003). Motor, sensory and psychological impairments following whiplash injury : development and predictive function PhD Thesis, School of Health and Rehabilitation Sciences, The University of Queensland. Sterling, Michele (2000). Cervical mobilisation: concurrent effects on pain levels, motor function and sympathetic nervous system activity Master's Thesis, School of Health & Rehabilitation Sciences, The University of Queensland. An investigation of Sensitivity to Movement-Evoked Pain as a Risk Factor for Poor Response to Activity-Based Interventions for Whiplash Injury. Are mechanical pain thresholds useful in defining symptoms of advanced knee osteoarthritis and predicting patient satisfaction following total knee replacement?